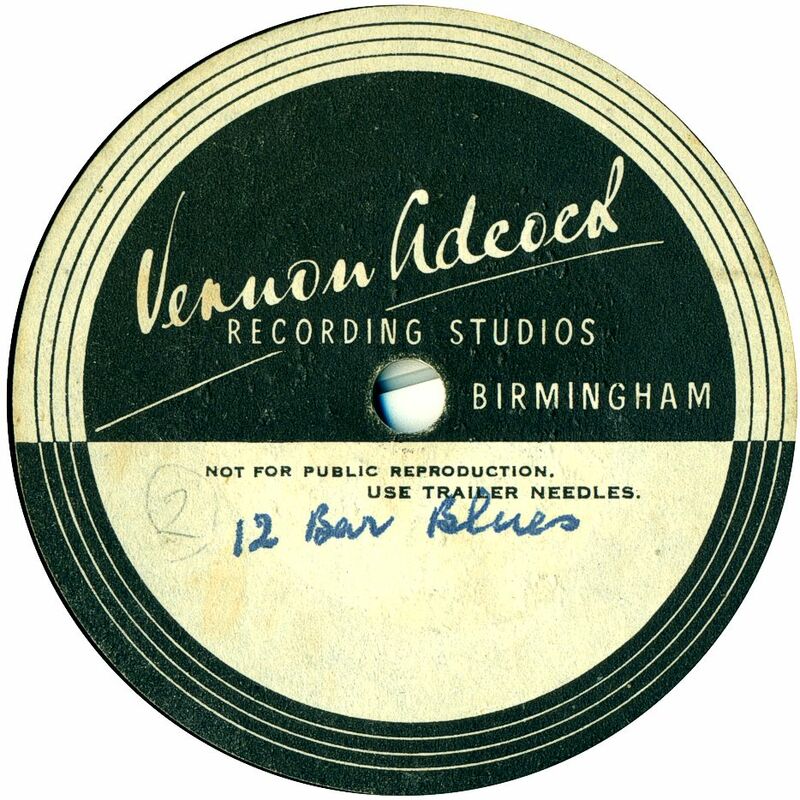 British 78rpm record labels whose name begins with V. Using the letter links below you can see pages for other letters. 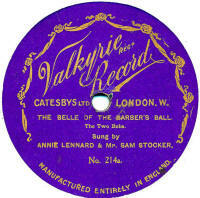 Valkyrie This was an British-pressed record dating from 1912-1916 and produced for Catesby's Limited for sale in their London department store. The catalogue numbers ran from 1 to about 570, then numbers above that were prefixed D- or E-. It is thought that this may be one series, but the reason for the two different prefixes is obscure. The records initially used Beka masters from numbers 1 to about 270, then Jumbo masters were used from 300 to 570; it is not known if number 270-300 were ever used. The prefixed series use Homophon and Jumbo masters to start with before changing to Beka. The label colour varied, (which is typical of cheaper British labels of this period) known examples being mauve, dark blue and red. Van Dyke One of my favourite labels from a visual perspective, Van Dyke records were a product of the Grey Gull company of Boston, Mass, USA. They were quite a late-comer on the scene being around only in the very late 1920s up to Grey Gull's demise in 1930. 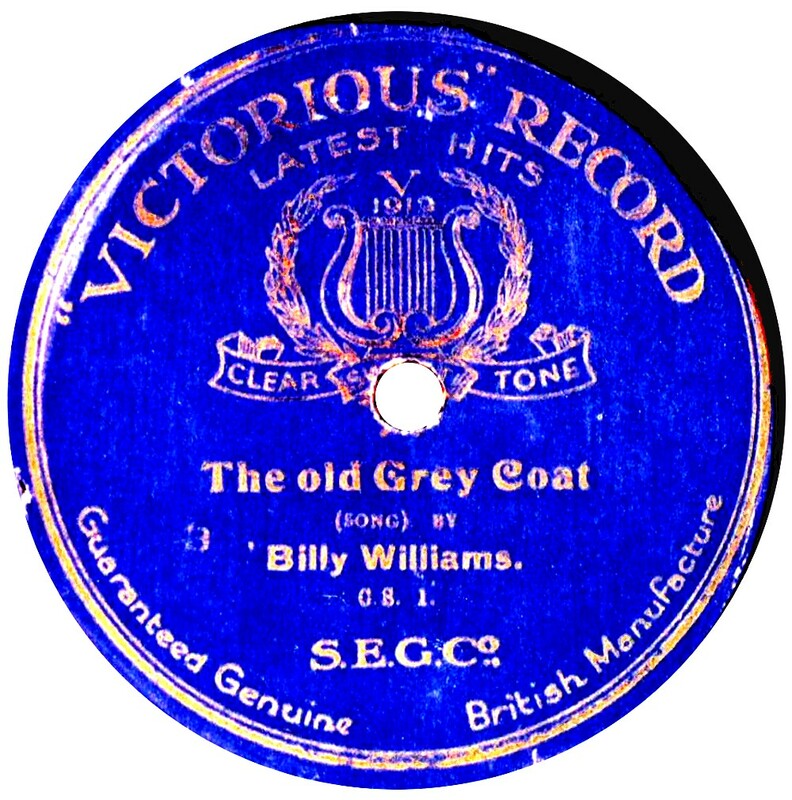 As with other Grey Gull products of this period, some were shipped over to Britain, judging by the appearance of UK publisher's copyright stamps on the labels. This may have happened with remainder stock after the parent company closed down. 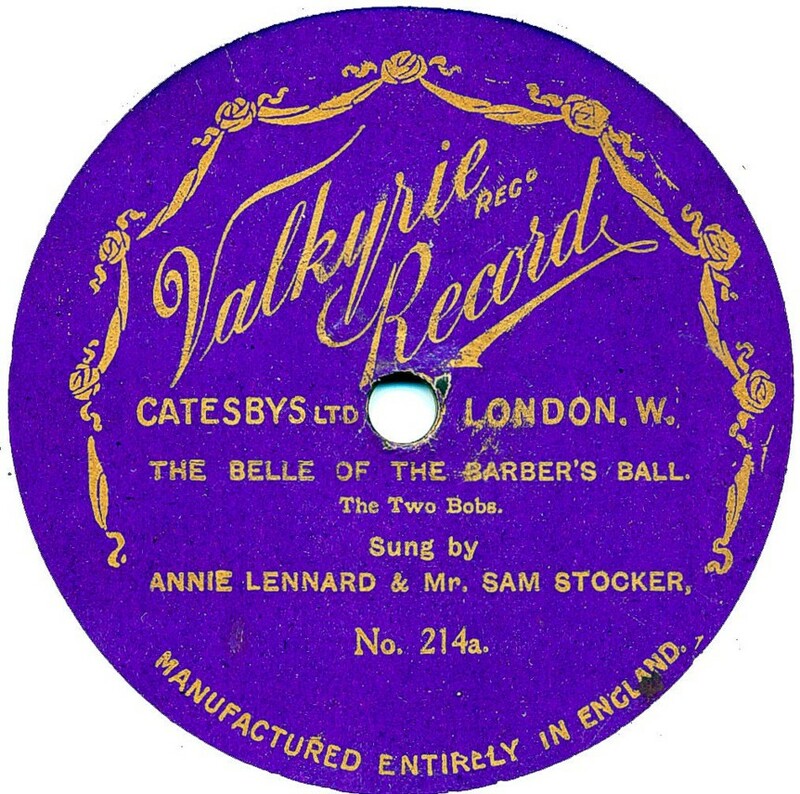 The copyright stamp value of 1d on the Van Dyke records implies these records were sold for about 2/6, which is fairy expensive for a cheap record. The question is: Who was selling them in Britain? I have noticed that some labels have "Made In the USA" rubber stamped on them. The images are the examples I have in my collection. Reverse sides, if not shown, have no stamps, nor do they show any signs of having had any in the past, which is very odd. 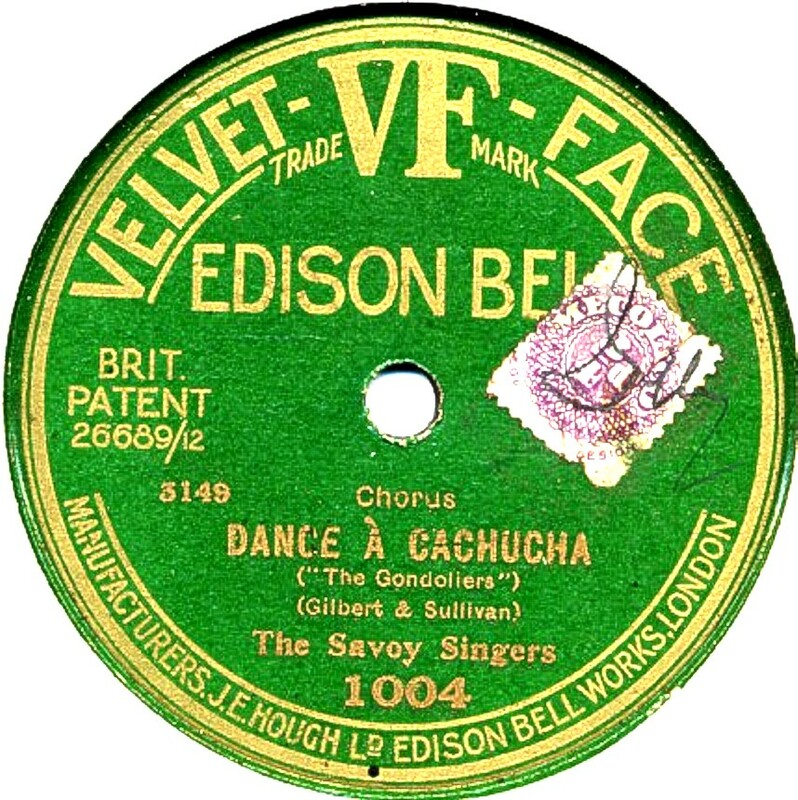 Velvet Face records were made by J.E. Hough's Edison Bell Company. 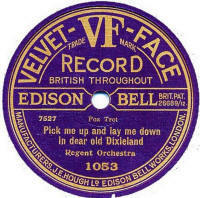 The Velvet Face record was supposed to be a superior product, but it is doubtful whether Edison Bell used a different shellac mix for their production, so it was probably all a marketing ploy. 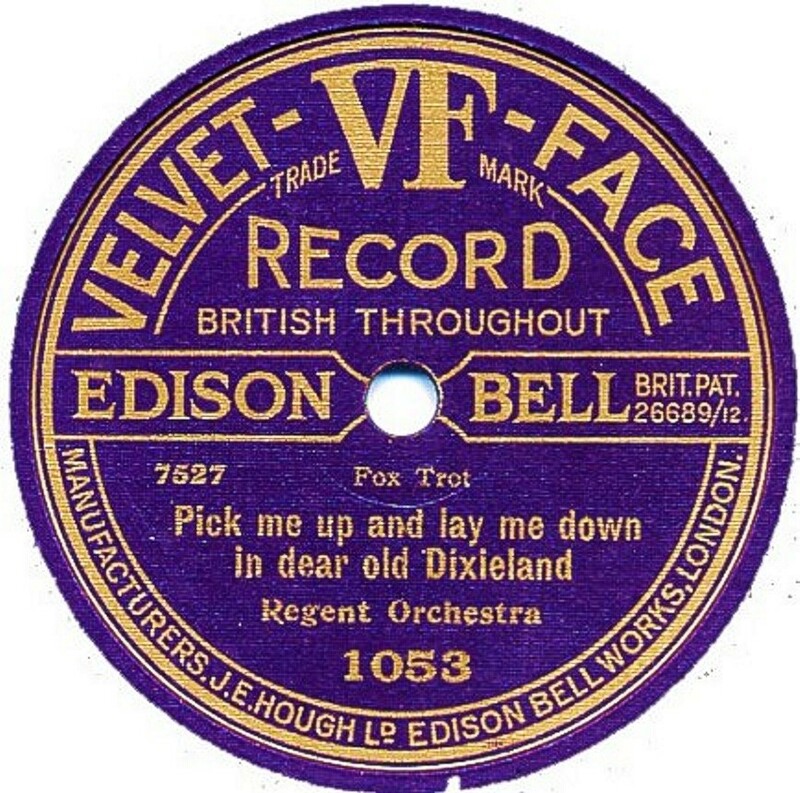 Velvet Face records were introduced in late 1910 in an oversized 10" form, and a 12" version was introduced in 1913. Both series ceased in late 1914. The label re-appeared under the personal direction of Joseph Batten, in late 1921, lasting until 1927. Again, both 10" and 12" sizes were made. 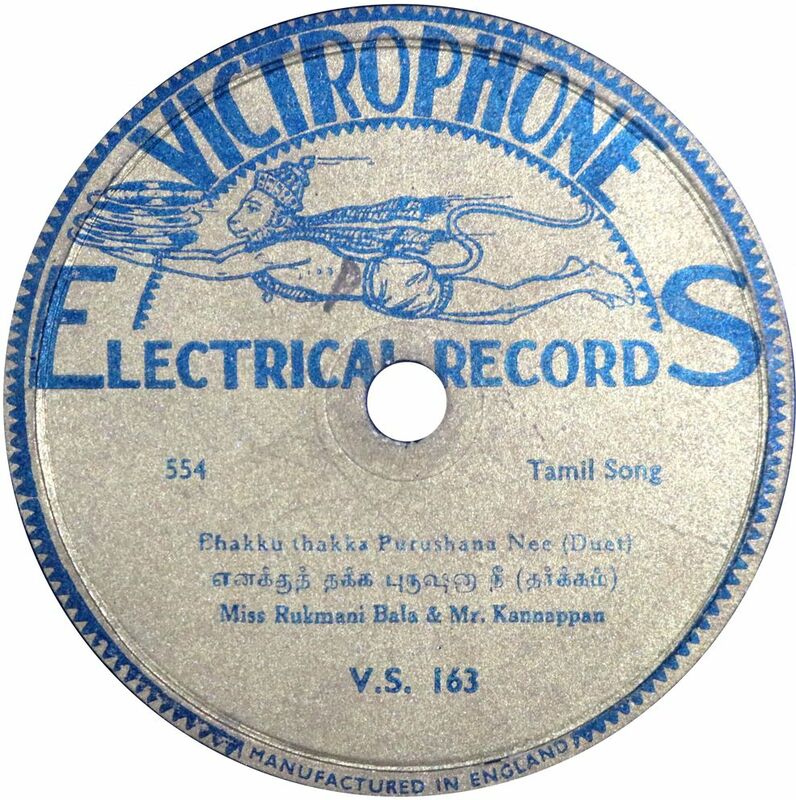 The pre-war label was red with gold lettering with two slightly different designs. 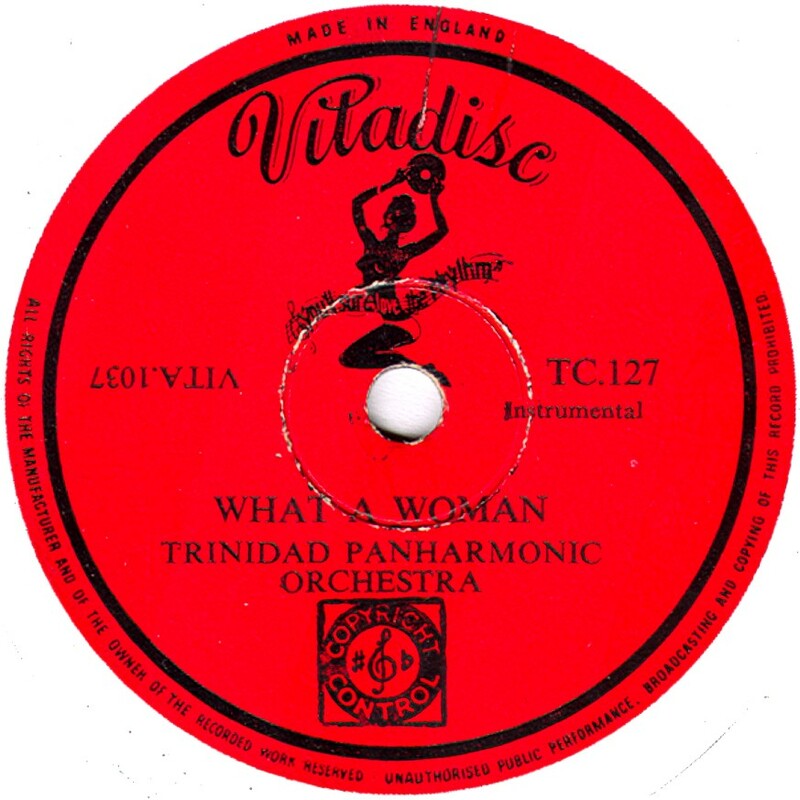 The post-war label was initially purple with gold lettering, changing to green with gold. Rather confusingly, almost identical catalogue number series were used for the pre-war and post-war series. The pre-war 10" ran from 1001 to about 1427 and the post war from 1000 to about 1212. The pre-war 12" ran from 600 to about 642 and the post war from 500 to about 720. 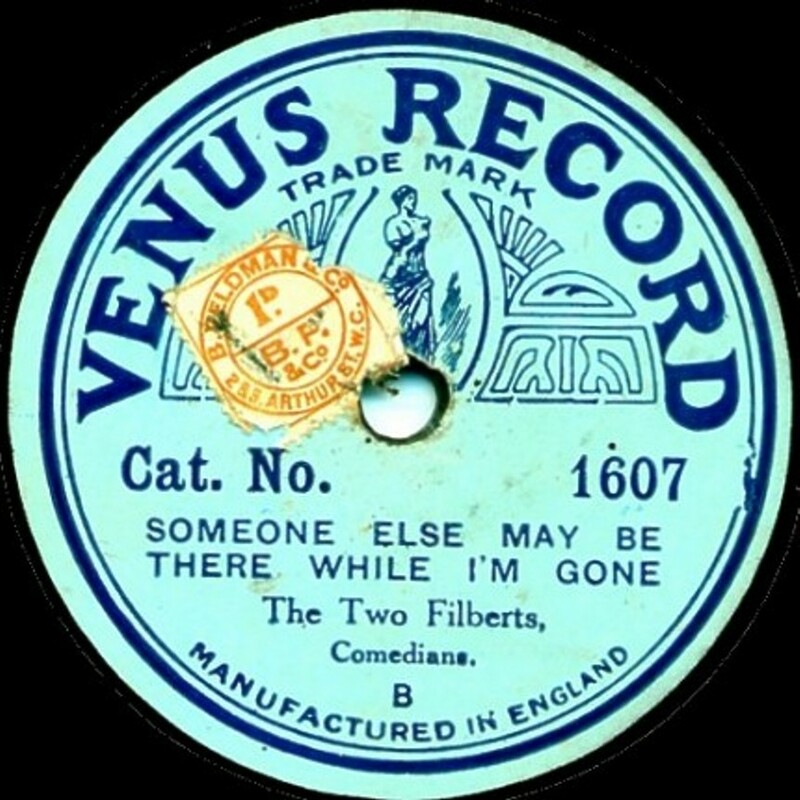 Venus Following the last Jumbo record in 1919, the label name was changed to "Venus" and the catalogue series followed on as well, from No. 1580 and ran well into the 1600s as well as using the A-series also found on Jumbo. 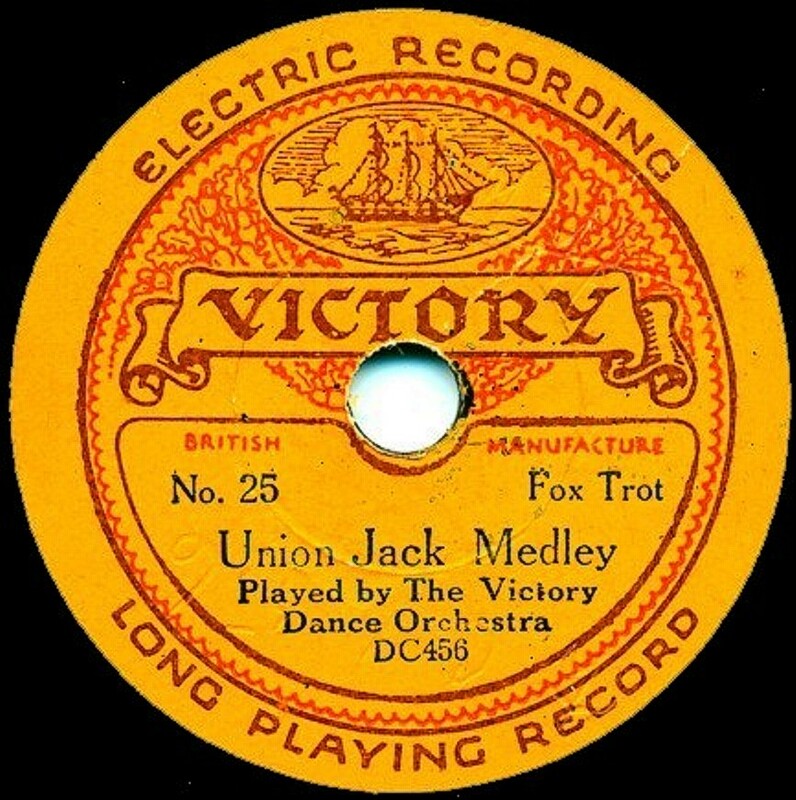 Like Jumbo, the records were produced by Hertfordshire's Mead Works (then owned by Columbia) and used the Lindstrom/Beka master series. 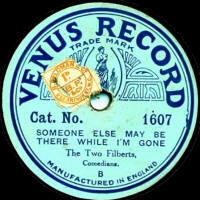 Label listing: some years ago, the CLPGS published a listing of Jumbo & Venus records, now out of print, but a new one is in preparation (2015). Vernon Adcock Thanks to Bill Dean-Myatt for the image. Vesper Dating from just post WWI, this record was made by Crystalate, probably for religious music publishers, Morgan & Scott Ltd.
Vic Lewis Society Thanks to Bill Dean-Myatt for the image. 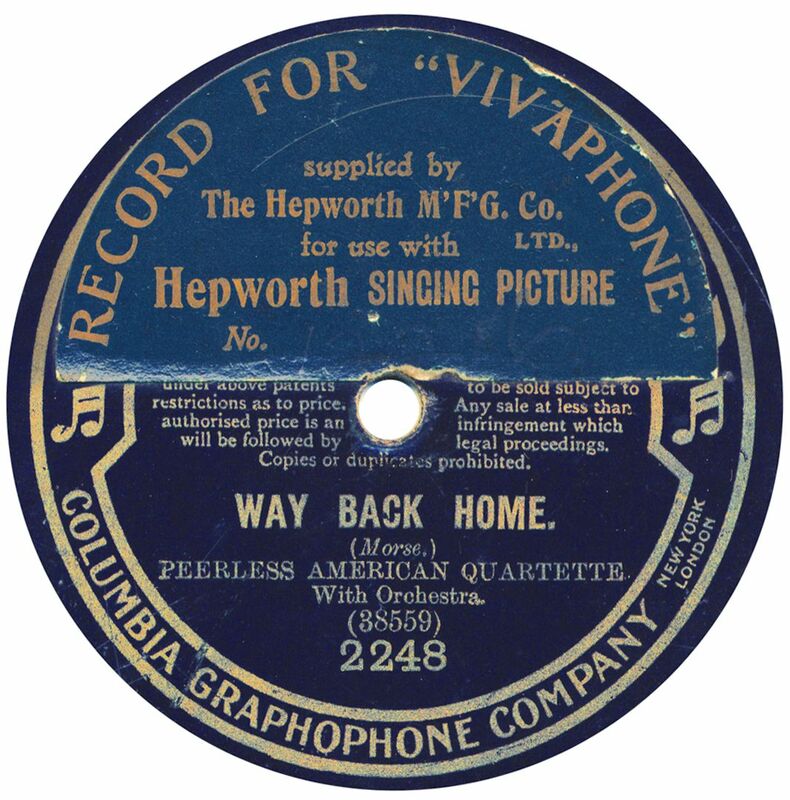 Victor The famous American record company was part-owner of the Gramophone Company in Britain and as such there were reciprocal arrangements between the companies. One was that you could order ANY Victor record to be imported to Britain. 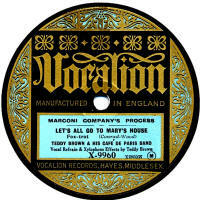 It would seem that Levy's did a lot of this and it is not unusual to find Victor Records that were sold in Britain - the copyright stamp gives it away. Victorious A very obscure label which presumably dates from the pre-1920 period. The "Guaranteed Genuine British Manufacture" is typically used on Edison Bell records of that period, but the record doesn't look like an Edison Bell product, so this will have to remain a mystery for now! 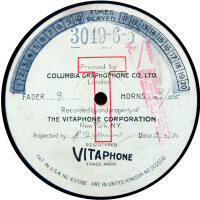 Victory Previously known as "Stella Gramophone Record", the name was changed due to copyright issues. 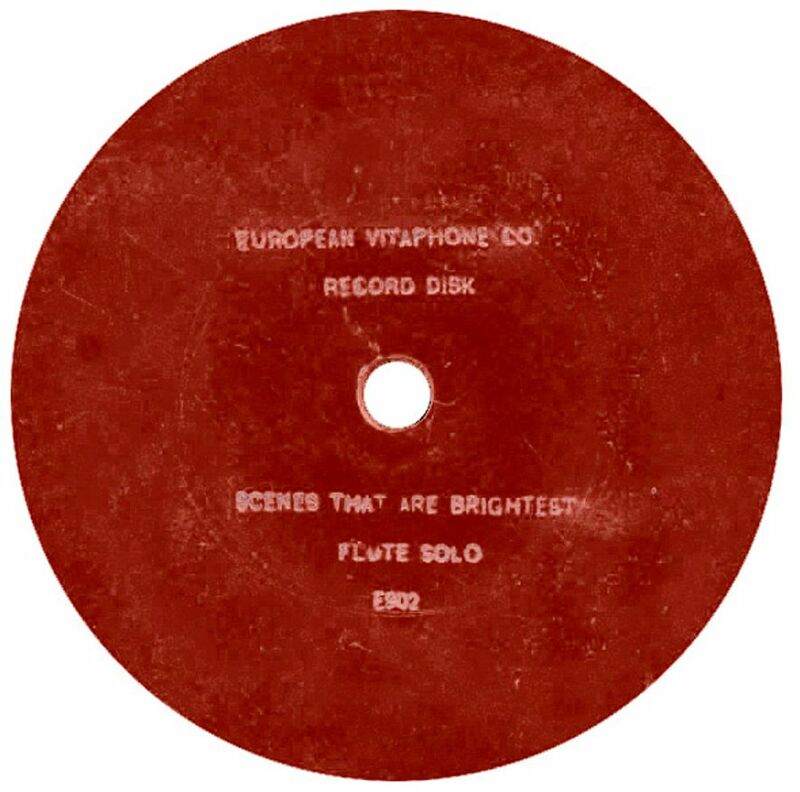 The record was produced for J. Blum & Co by Kalliope Records of Germany. Many Stella records are found with "Stella" scored out, or with a "Victory" sticker over the name. 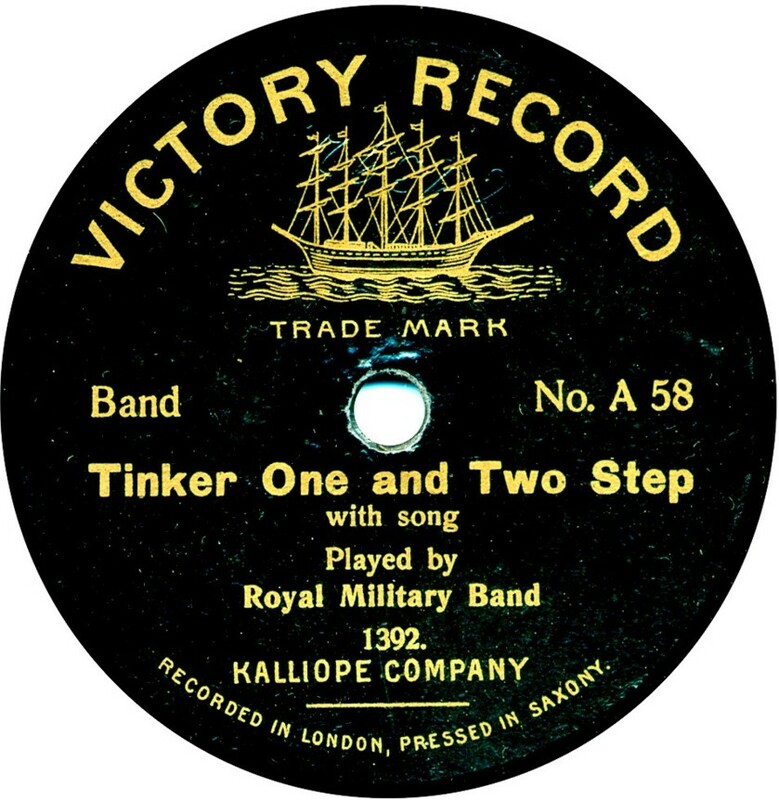 Once stocks had been sold, the records were re-pressed with the new "Victory" label, and new issues obviously were also made with the new label. 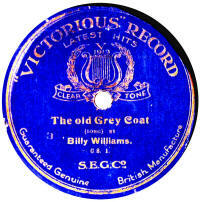 It is not known if all "Stella" records can be found as "Victory". 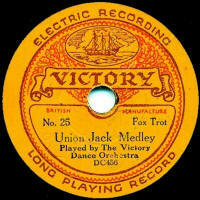 Victory (7") In 1928, a new Victory label was launched. 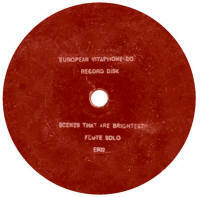 This was a 7" record produced by Crystalate for sale in Woolworth's stores for 6d. Introduced in the Autumn of 1928, it was effectively a replacement for the 6" Mimosa record and as such offered much better value. Victory records are generally electrically recorded and have a playing time of about 2½ minutes. 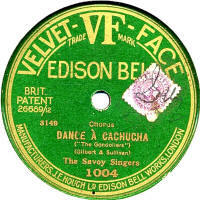 The catalogue ran from No 1 until about 318 in March 1931 when it was replaced by Eclipse - an 8" record - for the same price. 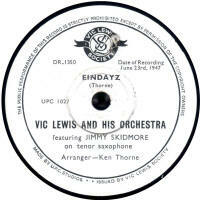 Victrophone Thanks to Bill Dean-Myatt for the image. Viel-O-Phone An Edison Bell product produced for sale abroad, this time in India. 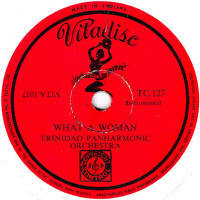 Vitadisc Thanks to Bill Dean-Myatt for the label image. 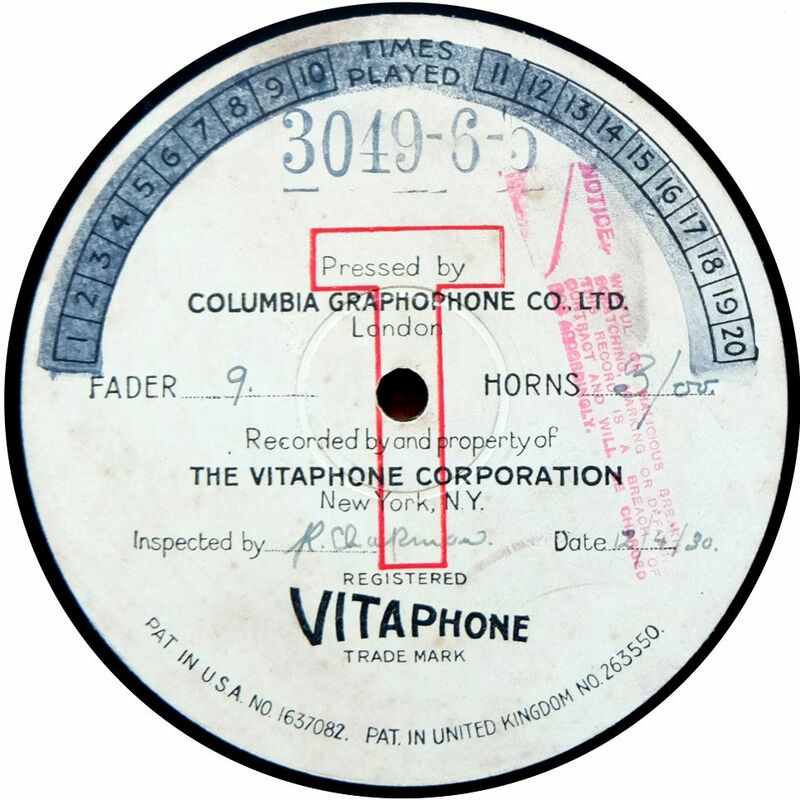 Vitaphone This Vitaphone record was one of the very first disc records to be sold in Britain. They were made by The American Talking Machine Co (in the U.S., obviously) and were 7" in diameter and pressed in a red/brown material, with details printed in gold in the central area. The first ones were produced in America in 1898 and maybe came to Britain by 1900. 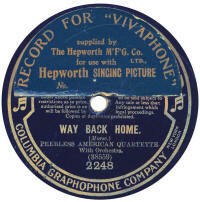 Vitaphone These records were manufactured by Columbia as soundtracks to accompany silent films in teh 1920s and early 1930s. 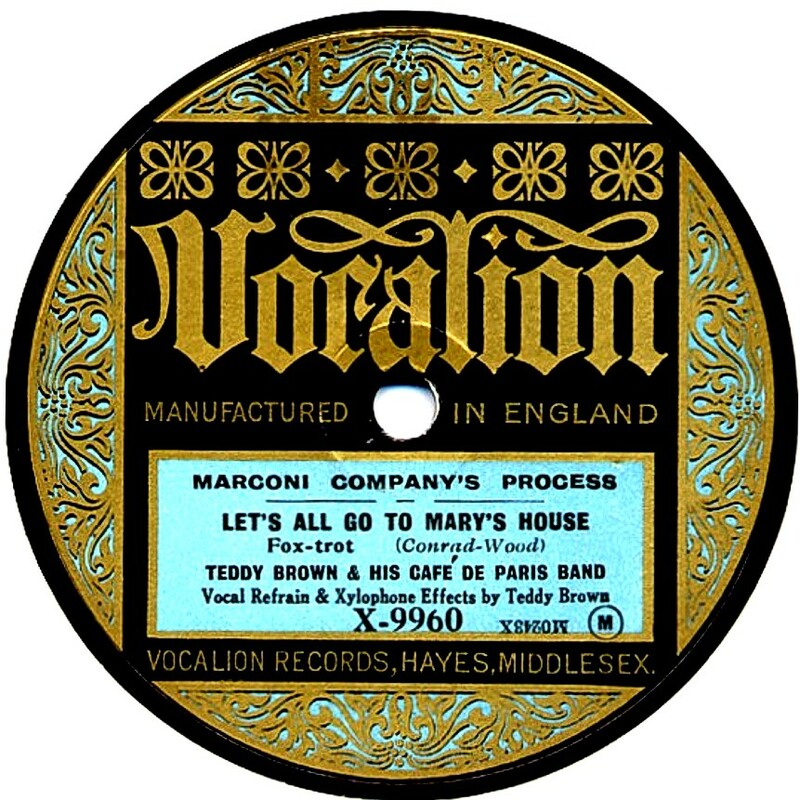 Vocalion The British company started in 1920 and was initially called Aeolian-Vocalion. The label design was similar to the already established American label and there were numerous catalogue series and owners over the next 30 or so years. 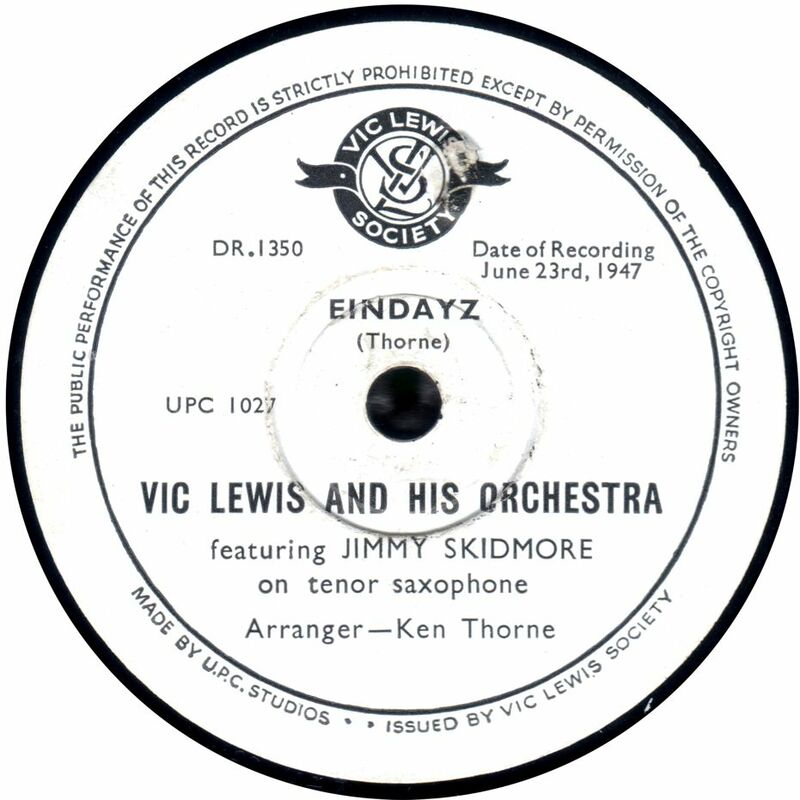 The name and label design was so iconic that it has been revived in the LP era and is currently being used by Dutton Laboratories for their CD reissues. In the 78 era, there was initially the X- series and cheaper M-series in the 1920s, and later a B-series marketed by Brunswick (usually over-pasted with the "Kildare" name. In the 1930s, there was a "Celebrity" 500-series and the excellent "Swing" series starting at S-1 and running for over 300 issues. Then in the 1950s the V-1000 series mainly issued excellent dubs of classic jazz usually from the 1920s. 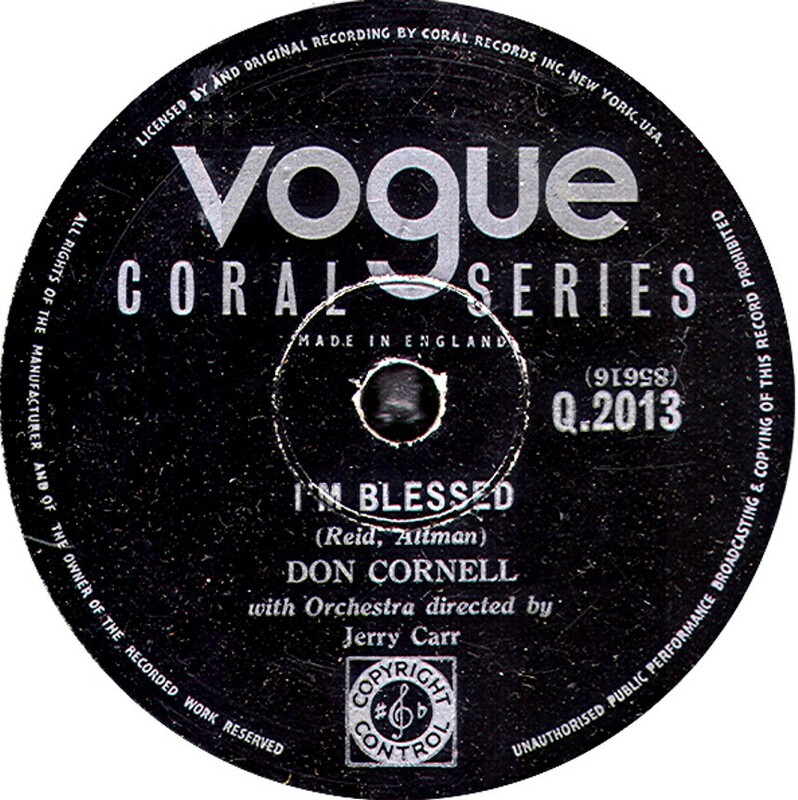 Vogue The UK Vogue label was launched in the early 1950s and concentrated mainly on current jazz recordings from the UK and from the USA. 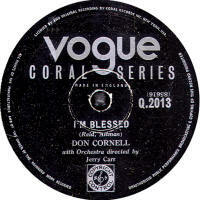 Vogue Coral Thanks to Bill Dean-Myatt for the label image. (sold in Australia) This was a British-produced label for sale only in Australia. 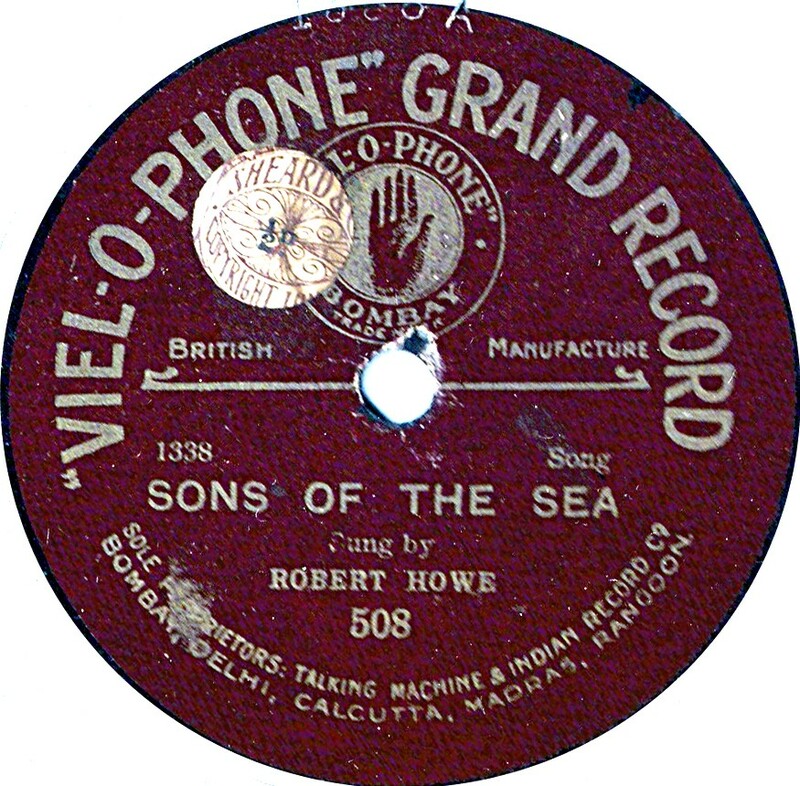 The records date from the early to mid 1920s and use Pathe Actuelle masters. The catalogue number started at VH-1 and ran to VH-68.